Researchers at the Wake Forest Institute for Regenerative Medicine have come up with what may be the ultimate in recycling programs. They want to take old, discarded kidneys and, using stem cells, turn them into healthy, functioning kidneys for transplant patients. Well, that’s the ultimate goal. They’ve still got a way to go, but they’re off to a good start, as shown in two studies published in the journals Transplantation and CellR4. Their work has a real sense of urgency to it. In the US in 2014 there were around 17,000 kidney transplants, but the waiting list for a kidney is more than 100,000. Every year around 4,000 people die waiting for a transplant. Many others drop off the list because they are too sick to undergo transplantation. Clearly we need more donor kidneys, but how to get them has been a problem for years. That’s where the Wake Forest work could come in. They want to use the 2,600 kidneys that are donated every year but have to be thrown away because they are not healthy enough for transplantation. First the team took a discarded kidney and washed it in a mild detergent to remove all the cells, leaving just a kind of kidney scaffold behind. In one experiment they then seeded the kidney scaffold with stem cells taken from amniotic fluid. Over time the scientists say the cells not only settled onto the scaffold but they also started working the way kidney cells should, secreting chemicals and growth factors that are necessary to create new blood vessels. In a second experiment the researchers wanted to see if washing away the original kidney cells affected a small section of blood vessels called the glomerulus. 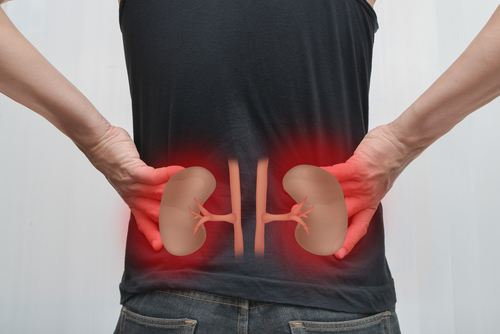 These are vital to the kidney’s ability to filter out contaminants. So they injected resin into the scaffold to measure if the glomerulus changed in any way. Orlando says they found that the size, structure and function of the micro-vessels in the glomerulus were all preserved after the washing. The beauty of this approach is that if it works it might allow researchers to take stem cells from a person with kidney problems, and create a new kidney that would match their own immune system, meaning they wouldn’t have to take powerful anti-rejection medications for the rest of their life. There is still a long way to go before they know if this approach will work. In the meantime there are tens of thousands of people waiting for a transplant, and not just of kidneys but of livers and hearts and other organs. That’s where we all can help, by signing up to become an organ donor. You can find out more information by going to the websites like Donate California or to the United Network for Organ Sharing (UNOS). Researchers aren’t the only ones who can help save a life. We all can play our part. Being an organ donor is to my mind a way to ease the pain of your loved ones– kind of like part of you keeps on going! But mainly, donating an organ can be literally a gift of life. When my cousin died, some of his organs were donated, and the parents later met someone whose life had been saved because of him. Something really worth doing, I think. Apparently, there are other researchers working on this as well. I forwarded this story to one and was told she is already doing this kind of research! Having CKD, I hope it works out.